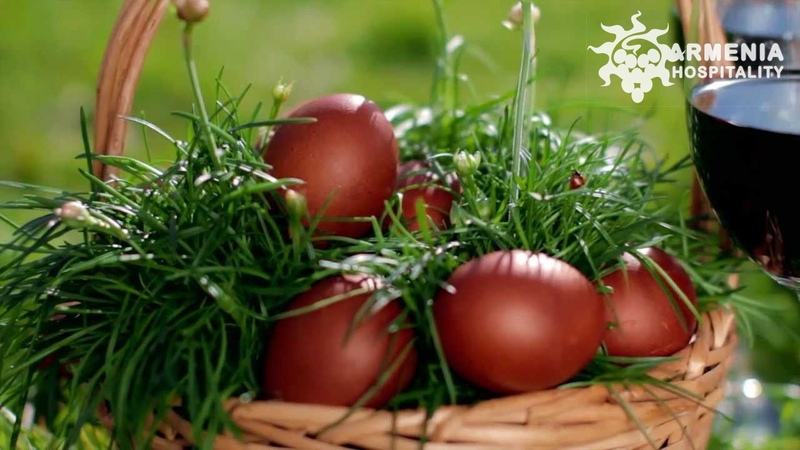 Spend your Easter holidays in the first Christian country in the world!!! Transfer from airport to hotel. After tour starts from Yerevan City tour. You will have an opportunity to see the most important places and buildings including Republic Square, Yerevan State University, Victory Bridge, Sports & Concerts complex, Kiev Bridge, Parliament, Palace of President, Academy of Sciences and Opera house. “Mayr - Hayastan” (panoramic view of Yerevan). 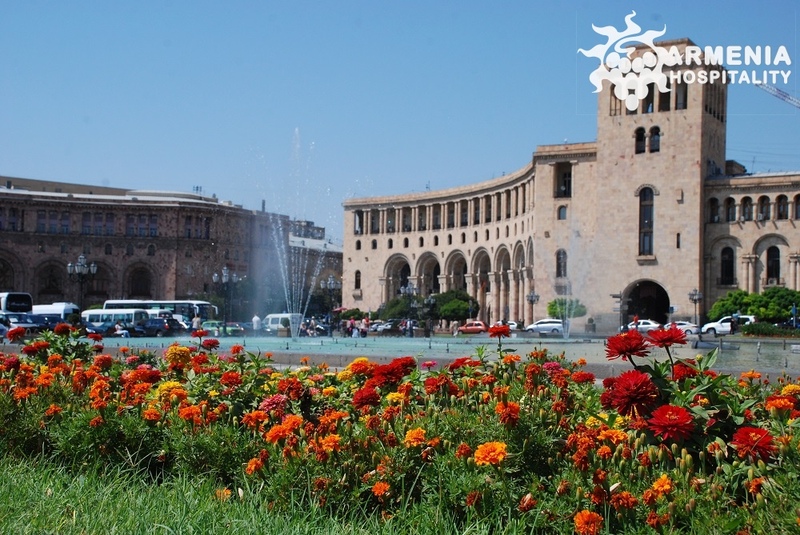 We will make a stop at State History Museum of Armenia - museum in Armenia with departments of Archaeology, Numismatics, Ethnography, Modern History and Restoration. Then you will visit “Matenadaran” – research institute, museum, and repository of ancient manuscripts collections in the world. In the evening we visit the Megerian Carpet factory to admire a wide range of hand-knotted carpets, after which you can enjoy welcome dinner. 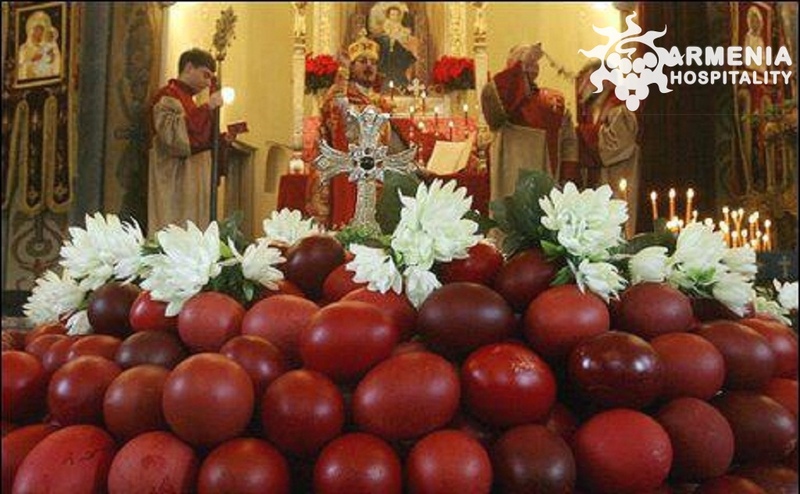 Today is Holy Sunday, the day of Easter Eve- the feast of the Resurrection of our Lord Jesus Christ. In the morning tour headed to the Mother See of Holy Etchmiadzin, the religious center of all Armenians around the world for observing the Easter Eve celebration and taking part in the Divine Liturgy. Here you will also have an opportunity to see the Holy Spear, one of the relics of Christianity. On Easter hearing the good news of Resurrection “Christ has risen from the dead” we answer: “Blessed is the Resurrection of Christ”. After Etchmiadzin next highlighted place is St. Hripsime and Gayane cathedrals. Tour continues to Zvartnots Cathedral ruins too, then drive back to Yerevan we will visit Genocide Memorial complex and museum - dedicated to the memory of the 1.5 million Armenians perished in the first genocide of the 20th century. Evening is at your disposal. This day will head to the scenic Azat River Canyon to Geghard Cave Monastery at the bottom of it (UNESCO World Heritage Site). Next stop is at Garni village, where the Hellenistic-inspired Garni temple lies (66 AD). Here you will enjoy sounds of the Armenian national instrument–‘duduk’. Then you will enjoy lunch and baking process of Armenian traditional bread – ‘'lavash'' in the courtyard of a family in Garni village, consisting of local traditional cuisine. Driving back to Yerevan we will visit Vernissage souvenir market after which transfer to hotel for having rest or enjoy free time in our vibrant city.